Can A Test You Don’t Take Be Used Against You? The well-known hallmark of a DUII stop – a stop for driving under the influence of intoxicants – is the law enforcement officer asking a driver to perform “voluntary” field sobriety tests (FSTs). Many people submit to the tests, but since they’re supposed to be voluntary, some also refuse. In March, the Washington State Supreme Court heard arguments regarding whether or not the refusal of voluntary tests can be admitted as evidence against a driver in a subsequent DUII prosecution. If you are charged with DUII in either Washington or Oregon on the basis of FSTs – or if you declined to perform those tests and you were arrested – contact experienced Portland DUII attorney David T. McDonald immediately. In the case State v. Michael Mecham, the Washington Supreme Court appeared to focus on whether FSTs are the legal equivalent of a search, which requires a warrant and/or an exception to the warrant requirement. Through counsel, Mr. Mecham asserted that no one should be penalized for refusing to consent to a “voluntary” search by having that refusal admitted as evidence for the prosecution. 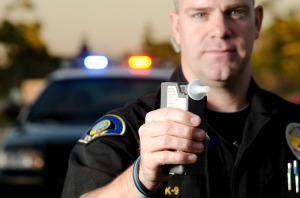 Of course, whether we like it or not, when someone refuses to answer questions, cooperate with a search, or submit to a breathalyzer exam or FST – in other words, when someone doesn’t do what a police officer requests – it’s almost natural to suspect that the person may have something to hide, so prosecutors very much want such refusals admitted as evidence. At Mecham’s DUII trial, his refusal was admitted as evidence against him. Mecham was convicted, and he appealed. For now, drivers in Washington should be aware that at least until the Washington Supreme Court rules in Mecham, your refusal to submit to FSTs may be used against you if you are prosecuted for DUII. If you are charged with DUII or any related offense in the Portland area – in Washington or in Oregon – contact Portland DUII attorney David T. McDonald promptly.